From food adulteration mafia to illegal encroachers of government land, Anupama has given them all sleepless nights. When TV Anupama took charge as the District Collector of Alappuzha district in August 2017, no one in Kerala’s political circles could have imagined that she would rock the landscape by taking on a powerful minister in Pinarayi Vijayan’s cabinet. But Anupama set off a political storm in the state within weeks of her appointment, thanks to her report on the alleged land encroachment by Transport Minister Thomas Chandy, in violation of the Kerala Paddy and Wetland Act. For those who have followed Anupama’s bureaucratic career, however, this would come as no surprise. 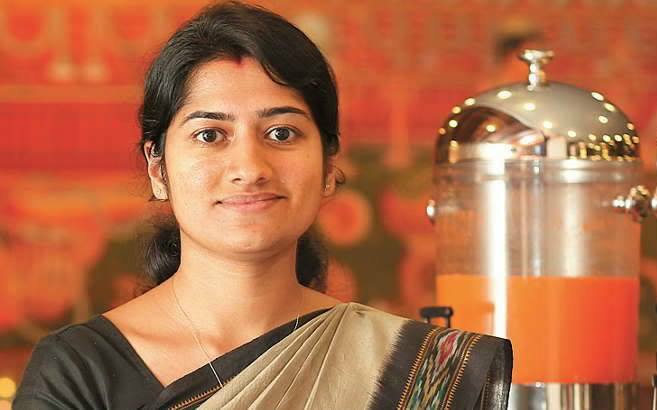 Anupama’s actions now show much the same tenacity and determination with which she approached her dream of becoming an IAS officer, and the same upright work ethic she has abided by through her career thus far. A young girl from Ponnani in Malappuram district had always nurtured a dream of becoming an IAS officer. Even as she entered the Goa campus of BITS Pilani – one of India’s premier engineering institutions – she held on to her dreams of joining the civil services. Working round the clock, she moved one step closer to her dream every day. In 2010, Kerala woke up to a proud moment – TV Anupama had secured the All India Rank 4 in the UPSC examinations. Anupama also told eager interviewers that she had spent 11 months preparing for civil service exams. During that time, she spent 13 to 16 hours a day with her books and journals, and never slept for more than six hours. It was in 2014 that the young IAS officer caught media attention when she filed a complaint at the Medical College Police Station against Murali, the then CITU convener. Anupama had decided to take on the union for demanding gawking wages or Nokkukooli – money paid to union headload workers to simply watch privately hired labourers load or unload goods. When Anupama and her family moved into a home, CITU convener B Murali and his associates had demanded money from her, because her family had unloaded their home appliances by themselves. When Anupama protested that the workers could not demand wages for gawking, Murali forcibly unloaded her washing machine, and demanded money for the work. He scribbled his phone number on a wall in front of her house, and told her to call him and tell him when he would get the payment. But things did not end there – the group continued to threaten the officer’s family. On Anupama’s complaint, Murali was arrested and remanded for 15 days. No year was as eventful as 2015 for this plucky IAS officer. Anupama was made the Food Safety Commissioner of Kerala and shot to public popularity soon after. The IAS officer carried out multiple raids on dealers, and sent thousands of samples for testing, exposing high levels of adulteration and rampant use of pesticides. The investigation led by her revealed that several categories of foodstuffs were often contaminated with as much as 300% the allowed level of pesticides. Even as thousands of vegetable and fruit samples were submitted to the court and many dealers arrested, what created a furore was that many of these perishables were being bought from Tamil Nadu. Anupama then carved a niche for herself by urging Keralites to start organic farming and home gardening to produce the vegetables required for their families. A Quint report says that under the campaign promoted by this officer, the state government delivered free seeds and saplings to people and helped them install drip-irrigation and bio-gas facilities at their homes. As a result of her efforts, the state – which used to get 70% of its vegetables and fruits from Tamil Nadu and Karnataka – now natively grows a majority of its own produce. What was most commendable about all this was that Anupama had faced an uphill struggle of making the Food Safety Department, which had only come into existence in 2011, take strong decisions that would impact trade with a neighbouring state. Speaking to Deccan Chronicle, Anupama had explained the challenges she faced heading the newly set-up department. ”For established departments, there is precedence for everything and you just have to follow it. If there is a specific issue, you need special intervention. In the case of food safety, there was a total lack of resources. No proper office, no sufficient human resources, not enough vehicles,” she said. Not surprisingly, her work earned her the wrath of the pesticide lobby, which filed many cases against her for the various reports filed by her department. In August 2017, Anupama took charge as the 48th District Collector of Alappuzha. Immediately after taking charge, she had told media that she would study the problems of people and make all efforts to solve them. But Kerala Transport Minister Thomas Chandy, a businessman-turned-politician, probably did not dream that Anupama’s plans for the district would create so much trouble for his political career. It took the fiery IAS officer only months to submit a report to Revenue Principal Secretary PH Kurian against Chandy. The report stated that portions of Marthandam Lake in Alappuzha had been leveled for building the Minister’s Lake Palace Resort. The report has also said that a paddy field was levelled to build a parking lot for the resort. It also pointed at fingers at various officials for aiding the Minister in violating the Kerala Paddy Land and Wetland Act, and for building and paving a road for the resort. Though caught amidst a mountain of allegations, Thomas Chandy has remained unfazed, challenging the investigative officers. Though the chorus calling for the Minister’s resignation has grown louder, he has remained unmoved, and the LDF continues to drag its feet over the issue.